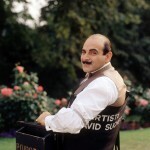 Home » Actors/Actresses » Drama » Mystery » Hercule Poirot returns Sunday on ITV! Need we say more? 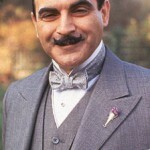 Hercule Poirot returns Sunday on ITV! Need we say more? 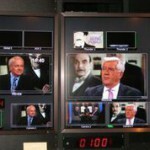 Last Fall, when ITV announced the go-ahead on production of the final five small screen adaptations of the Hercule Poirot stories written by the late Agatha Christie, it was not only met with mixed feelings by Poirot fans worldwide, but also from the actor who has invested 24+ years of his career playing the infamous Belgian detective, David Suchet. 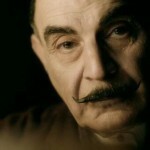 With filming long since complete and the first of the final five episodes set to premiere on ITV this coming Sunday at 8:00p, Suchet will have played Poirot in every Agatha Christie story every written for the title character. 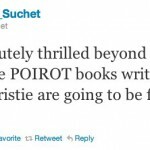 As you can imagine, Suchet is, understandably, a bit ‘gutted’ at the thought of bringing Hercule Poirot to a close after over 65 episodes. Gutted, yes, but incredibly proud of his association with the character, which begin almost a quarter of a century ago back in 1989. Sundays premiere episode, “Elephants Can Remember”, has Poirot a bit pre-occupied with investigating the strange and gruesome murder of an elderly psychiatrist, while his old friend, the crime writer Ariadne Oliver (Zoë Wanamaker), deeply involved in a case of her own to solve. As usual, there are theories abound as memories get muddled and old secrets remain stubbornly hidden. 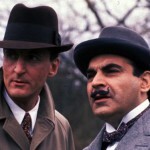 What ensues, however, is classic Poirot as his twitching mind and little grey matter cells kick into high gear when he realizes the murder of his old professor might somehow be connected with Mrs. Oliver’s investigation. With that, I find myself both gutted and eagerly awaiting Sunday’s premiere. Let’s hope that these make their way to PBS in the States in the not-too-distant future. How about you?